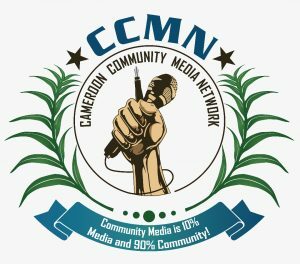 The CCMN and Prof Steven Youngblood visited members of the Cameroon Community Media Network in Mamfe, Limbe, Buea and Kumba. In these meetings and in-house trainings not only CCMN members were present, but also civil society representatives and journalists from non-members organisations to discuss the potential of peace journalism during the elections in 2018 and possible collaborations between media and civil society. The CCMN and Prof Steven Youngblood, Director of the Center for Global Peace Journalism, held meetings and in-house trainings for CCMN members, non-member journalists and civil society representatives in Mamfe, Limbe, Kumba and Buea from 23 – 26 July 2017. On 23 July 2017 Manyu Community Radio and Voice of Manyu Community Radio welcomed Prof Steven Youngblood and the CCMN for a visit to the community radios in the Manyu division. The visits included tours through the radios, presentation of the content and programmes which are broadcasted through the radio stations and ended with a meeting with all stations managers, programme producers and volunteers from the two radio stations and Prof Steven Youngblood to discuss the current situation of the media in the Manyu division. 29 journalists and civil society representatives from 11 organisations participated in 2 meetings and in-house trainings in Limbe on 24 July 2017. The main discussion during both meetings was the possible practical application of peace journalism and the constraints and obstacles in the Cameroonian media landscape for peace journalism being applied during elections. The representatives of Eden Radio also mentioned that Cameroonian journalists need to have more opportunities for training on peace journalism. However, an additional important point is to work also on the practical application of peace journalism principles. After the visit and discussion at Eden Radio, the CCMN team and Prof Steven Youngblood continued with an in-house training with staff of the Advocate Newspaper, CAMP – Cameroon Association of Media Professionals and civil society representatives from Limbe in the Victoria guesthouse. After theProf Youngblood’s key-note the participants started a Q&A and discussion focusing on the likelihood of violence before, during and after the various Cameroonian elections in 2018 and the actions media and civil society can take to prevent violence. CBS Radio Buea journalists participated in a in-house training with Prof Steven Youngblood in Buea Town and discussed the possible applications of peace journalism during election time, but also during times of social tensions and unrests and on how to report on refugees and migration. After the in-house training at the CBS Radio Buea the CCMN board and Prof Steven Youngblood had the chance to meet with the Regional Delegate of Communication of the SW region and the General Secretary to the Governor of the SW region and discuss the importance of the implementation of peace journalism principles in the time of elections. 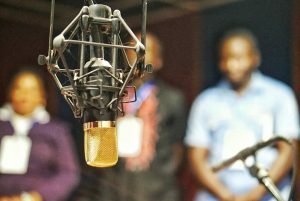 The board of the CCMN – Cameroon Community Media Network took the opportunity to also discuss the issue of peace journalism and electoral reporting with civil society representatives from Buea to elaborate on possible coalitions and collaborations between community media and civil society to prevent violence before, during and after the elections in Cameroon in 2018. The representatives agreed that a collaboration is important, however, there is low trust, exchange and knowledge about the work of the other area. Therefore, the participants decided to arrange a meeting to foster the exchange between the CCMN and the civil society to eventually evaluate a possible collaboration. 26 journalists and civil society representatives from 19 different organisations took part in the in-house training in the capital of the Meme division Kumba. Lake Site Radio hosted the in-house training and after a 45min input and key note of Prof Steven Youngblood a vivid discussion evolved on topics like corruption in the media sector in Cameroon, obstacles in the local contexts, economic, socio-political and cultural obstacles and hate speech in media.